Figuring out where to start is one of the most difficult steps in the car-shopping process, we’re well aware. Some shoppers already know what brand they’re going to get thanks to some form of brand loyalty, but most shoppers don’t even know what segment or class they’re interested in, let alone what make or model. 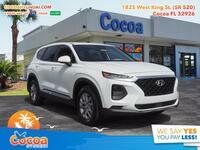 Here at Cocoa Hyundai we want to help shoppers with every step in the research phase, whether it be with specific model comparisons or by helping you figure out what brand you want, by comparing Hyundai to the Kia brand overall, for instance. 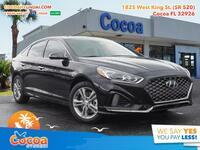 Comparing an entire brand to another is a bit more difficult than comparing the Hyundai Accent to the Kia Rio, as there are far less specifics to take into consideration. We can’t simply highlight power ratings and fuel efficiency, but there are things we can look at. 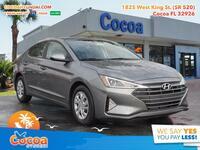 Hyundai and Kia are two incredibly comparable brands here on the American market. Neither of them offer pickup trucks, for instance, and both have been focusing on building up their crossover and hybrid lineups. But there are plenty of differences as well. There are two things in particular that Hyundai offers that Kia doesn’t, so we thought we’d highlight those. The first is of course the revolutionary Shopper Assurance program. 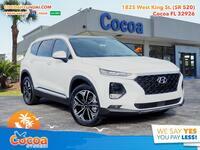 Hyundai is dedicated to making the shopping process as simple as possible, hence research pages like this one, and the Shopper Assurance program is dedicated to that end. Transparent pricing, streamlined purchases, flexible test drives, even a money back guarantee all make the car-buying process much more hassle free. 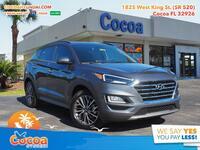 The other is the incredible term of complimentary services that Hyundai offers with its Blue Link technology. Bringing infotainment, connectivity and convenience to a whole new level, Blue Link services are incredible, and getting them for free for three years is even more incredible. So, if you think Hyundai is the right choice for you, don’t hesitate to get in touch with us for even more information. Or you can begin researching specific models by browsing around our website!